If for no apparent reason, the desire to combine colour takes hold, then patches are an ideal way to express this – from both a time and cost-effective viewpoint. As one season merges into the next, so does the desire to take on a different set of activities. What was viewed only a matter of weeks ago through a blaze of brilliant heat as an onerous task, now in the crisp morning freshness appears as one to be harnessed with relish. As our Autumn days are settling into place, energy once depleted by soaring temperatures has been restored. I am moving into my inventive phase right now, which I feel certain is triggered by this seasonal change. 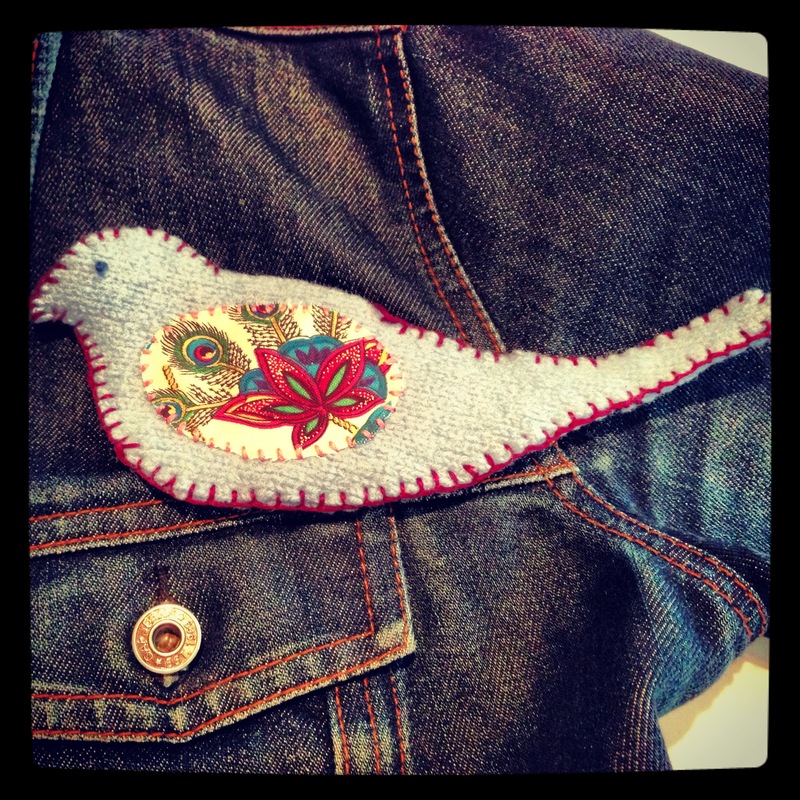 The desire to create has once again taken hold, and so a series of patches have been born. Layering colours and securing them with thread that introduces a further hue, is a very satisfying way of passing time. As you cut and match, compare and contrast, a multitude of impressions pass through the mind – and none of them relate to shopping lists, drycleaners or dishwashing liquid. cut a smaller freeform shape from a printed fabric scrap that will fit within the felt shape. 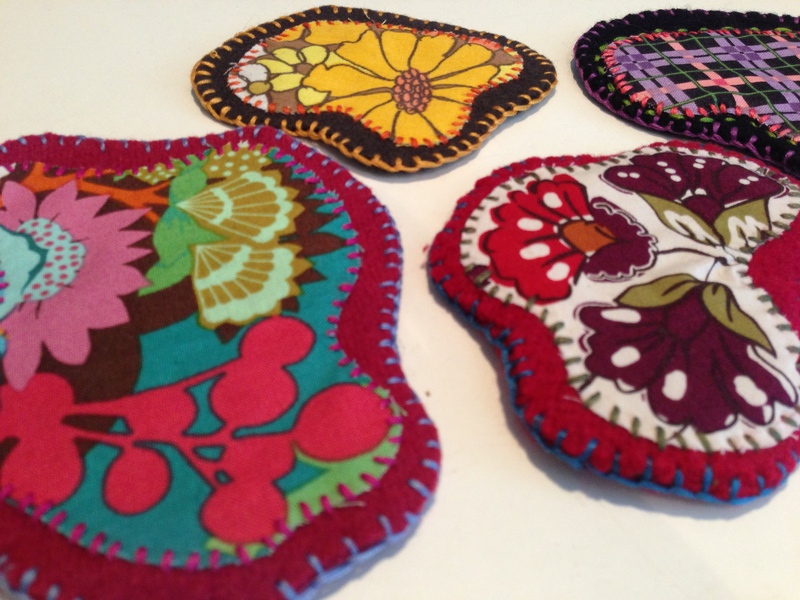 overstitch the printed fabric onto the felt shape. 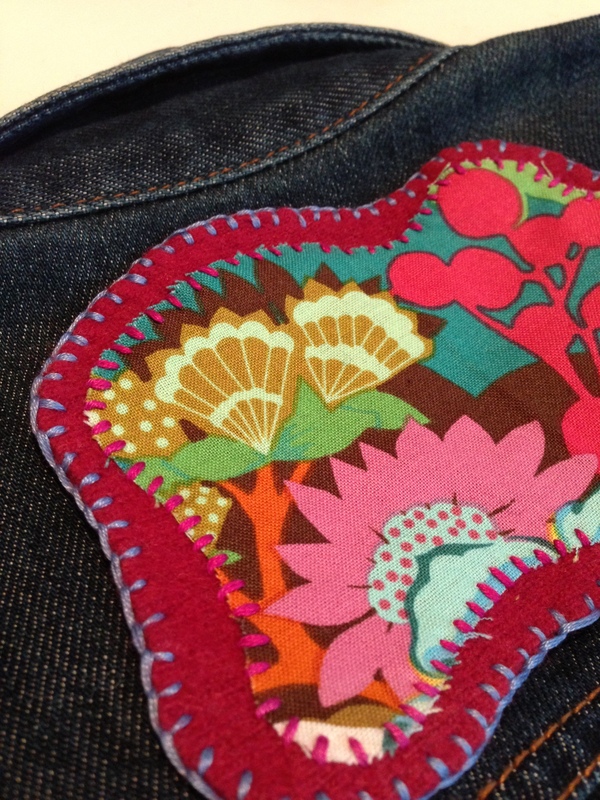 blanket stitch around the edge of your felt piece. Once your patch is complete, the decision to be made is where it will reside. Mine spend time on my denim jackets, sometimes on a satchel and once on a cushion. (Small stitches with fine cotton are best to attach with). Why should the trees have all the fun with colour?